The families of three men who died after contracting Legionnaires’ disease have received payouts totalling £200,000 from the DIY store where the outbreak originated. The outbreak occurred in the summer of 2012 and the UK’s Health Protection Agency stepped in once the diagnosis of Legionnaires’ disease was confirmed. Their investigation discovered the ‘probable source’ of the infection to be a contaminated hot tub used for display purposes at the premises used by JTF Warehouse, located in Fenton in Stoke-on-Trent. The three victims were named as Harry Cadman, aged 71, Richard Griffin, aged 64, and William Hammersley, aged 79. Mr Griffin was understood to have delivered meat to the café located inside the store, and died in hospital on 2nd August 2012 after receiving treatment for a week. Just two days later Mr Hammersley died, followed a few days later by Mr Cadman. The hot tub was filled with water and switched on to show customers how it worked. However, neither the hot tub or water had been cleaned for some weeks, and there was no filtering or disinfection programme in place either. This led to a build-up of dangerous bacteria and the Legionella bacteria is thought to have become airborne, contaminating water droplets when the hot tub was switched on. Therefore anyone who was inside the store and especially near to the hot tub was at a potential risk of contracting Legionnaires’ disease. The families of the three men who died decided to take legal action against the business. They admitted liability and the pay-out was then decided upon. According to reports a criminal prosecution by the Crown Prosecution Service and Health & Safety Executive is still awaiting its conclusion at the time of writing. Another 18 people also fell ill as a result of the outbreak in summer 2012. Of these, many people sought compensation and 13 cases were settled before coming to court. One man – and the relatives of the deceased – took their cases through the court process. The male survivor is said to have suffered a serious lung infection as a result of the outbreak. This case shows the potential dangers of unmanaged, unmaintained spas and hot tubs and the need to treat them correctly and to follow all health and safety rules concerning such equipment. 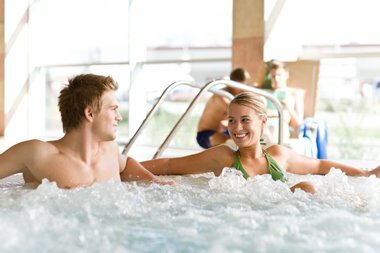 Owners of spas and hot tubs should ensure Legionella bacteria is carefully controlled and does not have a chance to multiply and spread as it did here. Hot tubs are known to be particularly at risk and should therefore be risk-assessed so they can be properly cleaned and managed on a regular basis and in line with the Health & Safety Executives Legionnaires’ disease document ACOP L8. If this had been done the outbreak may never have had the chance to happen. How important is a legionella risk assessment?